Providing the population of Old Fadama with legal education is an aim which has close ties with our mission statement: “creating a link between the residents of Old Fadama and the wider community by promoting the rule of law; by disseminating information about legal entitlements and human rights; and by providing the people of Old Fadama with access to remedies for legal problems and human rights abuses”. The above clearly points out that dissemination and providing of legal information are cardinal to what we do at FLAP. A survey conducted prior to the formation and the establishment of FLAP by Women in Slums Economic Empowerment (WISEEP), it became obvious that more than approximately 80% of the members of Old Fadama community were totally ignorant of basic human rights, and therefore, the need to intensify human rights advocacy in the community. Since June 2013, FLAP has organized on-going presentations in the community with the support of Human Rights Office of Projects Abroad here in Ghana. Currently, we run a project in the community that allows us to educate the community through focal group discussions, and between 10 to 15 people at a session. Presentations focus on domestic and gender- based violence, suspect rights, succession and writing of wills, child maintenance and custody and rental questions and disputes. Through these forums, participants share their experiences head on and learn from each other. 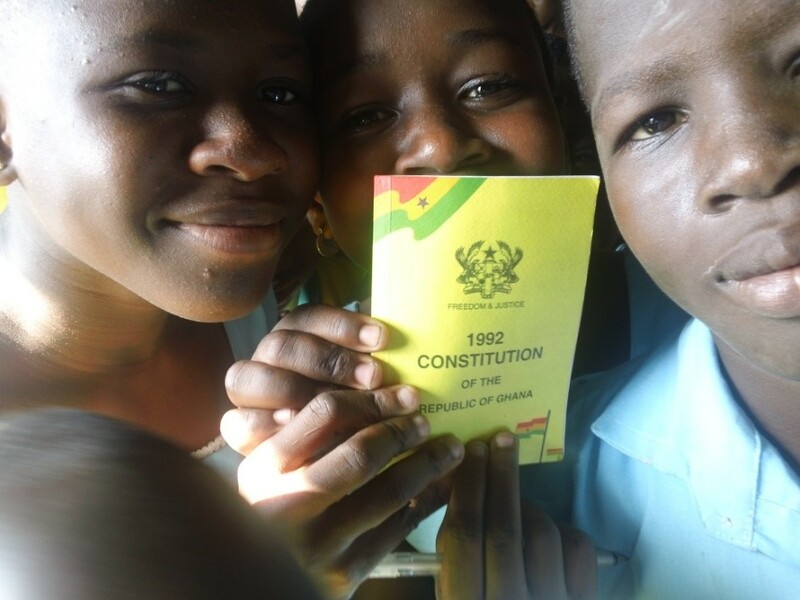 To ensure that no one is left behind as far as education on Human Rights are concerned, FLAP has recently introduced Human Rights School projects to engage school children to learn and know their rights. Two schools out of twelve in the community are currently benefiting from this new initiative. However, we hope to extend to cover all schools in the coming years.